This slippery-sounding part of your body is one of your most important indicators of heart health. Triglycerides are a type of fat, or lipid, which circulates in your bloodstream. When you eat a meal, your body converts any calories it does not immediately need into triglycerides. These triglycerides get dumped into your bloodstream, and later, stored in your fat cells. After an especially fatty meal, triglycerides can be so abundant in your blood that they give the blood a milky tint. Triglyceride levels are usually measured at the same time as blood cholesterol levels, and together with your HDL and LDL cholesterol levels, present a 'read-out' of the state of your cardiovascular health. High triglycerides often go hand in hand with low HDL levels ('good' cholesterol); in fact, the higher the triglycerides, the lower the HDL. Raised triglycerides is a risk factor not only for heart disease, but for obesity, pancreatitis and type 2 diabetes. So how do you lower your triglyceride levels? Healthy lifestyle choices are the key. Avoid bad fats. 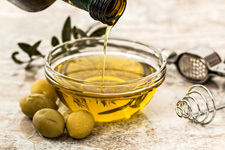 Replace saturated fats (in red meat and full-fat dairy products) and trans fats (usually found in restaurant fried foods and commercially prepared baked goods) with healthy unsaturated fats. Go for seeds, nuts, avocados and plant-based oils such as olive, sunflower and canola, and eat oily fish such as mackerel, sardines, tuna and salmon. Choose good carbs. Easily digested carbohydrates such as white bread, white rice, cornflakes, white-flour baked goods and sugary drinks raise triglyceride levels, so reduce your intake of sugar and refined foods. Limit alcohol intake. Alcohol can have a particularly potent effect on triglycerides, with even small amounts raising triglyceride levels. Lose weight. If you are overweight, losing just 5% to 10% of your weight can drop your triglyceride levels. Exercise regularly. Try to get at least 30 minutes of exercise a day. Exercise lowers triglycerides and boosts 'good' HDL cholesterol. Use spices in your food. 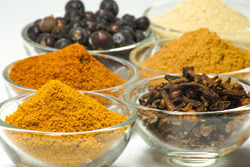 Research has shown that eating spices such as turmeric, paprika, rosemary, oregano, cinnamon, black pepper, cloves and garlic powder can lower triglyceride levels.